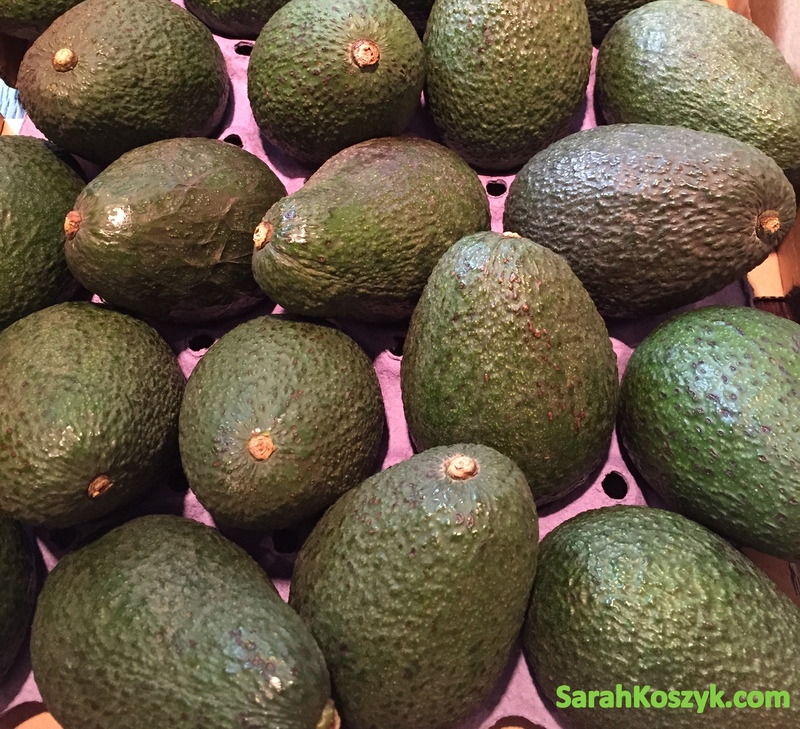 I’m a huge fan of avocados and I just love the summer season when they are abundant in California and falling from the trees. Every year, I’m always so thankful for where we live because the avocados are flowing everywhere and they’re affordable. Not only do they taste delicious, they are extremely nutritious, too. Benefits of Avocados: Avocados provide vitamin E, C, & K, fiber, and folate (just to name a few). Vitamin E has anti-aging properties by helping prevent our skin from free radical damage. Vitamin C is fantastic for skin health by creating collagen and elastin which helps keep our skin firm and wrinkle-free. Vitamin K is important for maintaining bone health and assisting with increased calcium absorption so we stay strong. Fiber is fabulous for filling us up and aiding in digestion (it helps us poop). Folate may be protective against cancer due to its role in DNA production and prevention of unwanted mutated cells. Folate is also essential for pregnant women and healthy babies, too. These are just some of the many benefits of eating avocados besides the fact that they just taste sooooo good. Here are 5 mouthwatering Avocado recipes you’ll want to make. Check them out. Guacamole is a staple dip at most of our parties. It’s quick, easy, and delicious. I enjoy making Homemade Tortilla Chips to dip into the guac. OR you can even use baby carrots. Click on the link above to get the recipe. 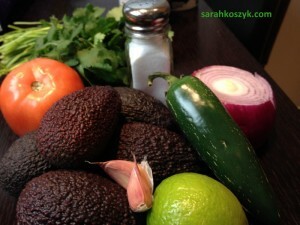 *Quick Tip: Keep the seed inside the guacamole so it won’t brown as fast. 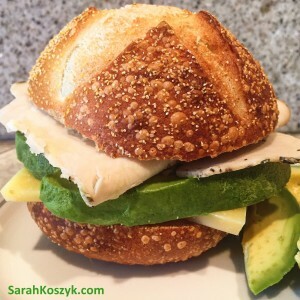 A classic turkey sandwich can be jazzed up by just adding avocado. 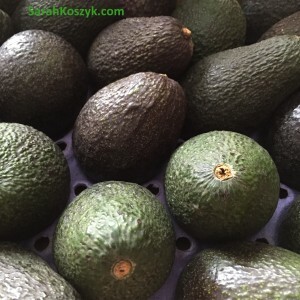 Thanks to Chris Scheuer with the California Avocado Commission for making this delicious California Avocado Mayo recipe. I made this sandwich using the avocado mayo, 2 turkey slices, extra slices of avocado, and 1 bread roll. California Avocado Mayo is a fresh, nutritious substitute for regular mayonnaise. It’s delicious and adds a beautiful gourmet touch to sandwiches, salads, appetizers and just about anything else for which you’d usually use mayonnaise. Combine all ingredients, except oil, in the bowl of a food processor and process for 1 minute until smooth. While continuing to process, add oil through the food processor feed tube in a slow steady stream. Once all oil is added, process for 1 more minute, until silky smooth. Store in an airtight container in the refrigerator. Will keep for 2-3 days. If top surface discolors, lightly scrape surface with a small spoon. Mayo underneath will remain vibrant and delicious. Yep. That’s right. 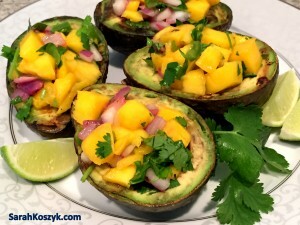 You can grill avocados, too, and they are a-ma-zing!!! This recipe is fast and easy and can be a great appetizer or savory-sweet side dish for any meal or party. Click on the link above to get the recipe. 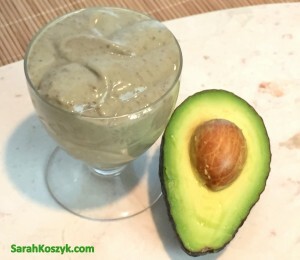 Avocados are perfect for providing smoothies with an extra creamy texture and flavor. 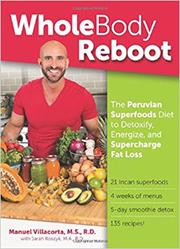 In addition, the heart-healthy fats from the avocado assist with better absorption of the fat-soluble vitamins in the smoothie. So you have a win-win situation with both taste and health benefits. Every ingredient in this smoothie contributes to the velvety smooth mouth feel. As a bonus, the avocado and sunflower seeds can help your skin stay velvety smooth, too. 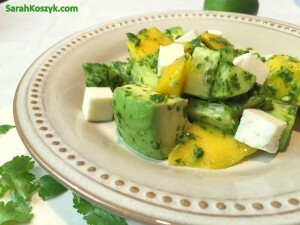 Enjoy this refreshing, exotic, Latin-inspired salad. The queso fresco provides protein for a perfect meal or side dish. Click on the link above to get the recipe. Here’s to the season of the avocado! How else do you like to eat and prepare avocados? Share your ideas in the comments below.